There is now a month before the start of the pre-orders of the Galaxy Fold, but there are still many questions about this device that need to be answered. Fortunately, Samsung has just shared a video showing us how the folding system of its flexible smartphone is being tested, giving us the idea of being a particularly durable product. The durability of the display is a major concern when it comes to folding phones. Samsung is trying to allay these concerns and this time it does so by publishing a short video on its YouTube channel in which shows the tests that the Galaxy Fold must overcome to ensure survival in the real world. 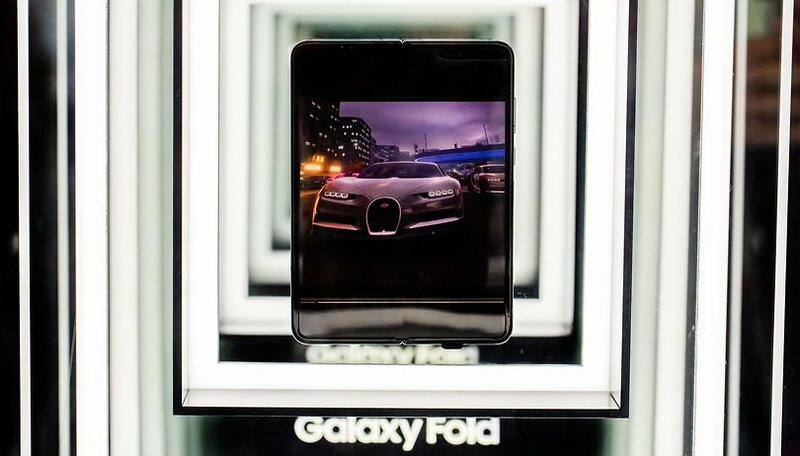 In addition, the South Korean manufacturer has also published a post on his official blog in which explains how the tests are carried out and specifies that the Galaxy Fold is capable of withstanding 200000 bendings. It is a fairly high number, about 100 openings and closings per day for five years. Samsung says this test takes a week to complete. Is it worth dedicating all this time? Yes, also because this test confirms that the hinge and the Infinity Flex display are able to last long enough. It is interesting to note that the hinge seems to jerk just before the Galaxy Fold opens completely and is particularly evident in some close-ups. Do you also notice a slight click when the phone is 5/10 degrees from full aperture? It could definitely be a hinge security system, a sort of locking mechanism that allows the Galaxy Fold not to close accidentally while using it in tablet mode. However, we still can't know for sure, but we can't wait to find out. Have you been convinced after seeing the tests carried out by Samsung?